Last week, the digital currency Bitcoin continued its strong, but volatile, move upward as the U.S. Department of Justice said it was a “legal means of exchange”. The recent strong price move up began on October 2, when the operator of the Silk Road web site, Ross Ulbricht, was arrested by the Federal Bureau of Investigation for allowing illegal purchases of drugs, guns and other illegal items using Bitcoins – this event limited the supply of Bitcoins. Other drivers include increasing global interest, particularly in China; and funding for Bitcoin and virtual currency related startups such as Bitpay, Coinbase, Circle and OpenCoin. On Friday, the price of Bitcoin was $775, up from $144 on October 1 and $13 at the beginning of the year. For those interested in space travel, Richard Branson announced that Virgin Galactic will accept payments with Bitcoin. 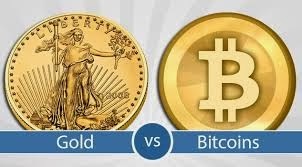 Note: because Bitcoin is technology driven and not created by any government, it has been referred to as “gold for geeks”. Regarding Bitcoin – the recent broad price swings are likely increasing its attraction to speculators, but discouraging its use as a way to purchase products and services. If price volatility declines and market demand expands, the roles of regulators, central bankers, FX traders and service providers could undergo significant changes. Regarding gold – with negative investor sentiment at a high level, it could be attractive to contrarian investors. If gold stabilizes and begins to move higher, investor memories could be short.